The 21-year-old, who released his debut album in 2011, is currently touring and is hoping to have a break when he finishes. The star said: "I've done a fair bit. I've written 26 songs for the next album. "It'll be released in early 2014, at the earliest. I want to have a couple of months off at the end of the year. This tour is so long." Singer-songwriter Ed is touring until September, and has Rizzle Kicks supporting him in the US. He said of the band: "They're great... I love touring with them." Ed is also a newly-appointed patron of Youth Music Theatre UK, which he was involved in when he was 16. He said: "I didn't need to think about saying yes. I probably don't know a great deal about theatre, but it's always important to help inspire young kids if you can. And when I was involved myself, more important than the actual acting was the relationships I formed. "YMT brings out people's talents, and confidence, and if you're an artistic person, you might not end up going to university. One of the main things of university is meeting people and getting confidence, so here's a chance to help with that." 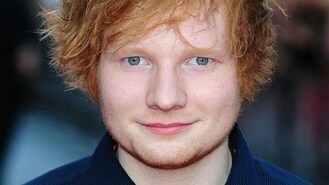 : Ed Sheeran is a patron of Youth Music Theatre UK. Auditions for actors, singers, dancers, musicians and technicians aged 11-21 are being held across the UK throughout January and February. For more information, visit www.youthmusictheatreuk.org.